Charley's guidance is a unique composite of clairvoyance, life direction, spiritual insights, and medical intuition. 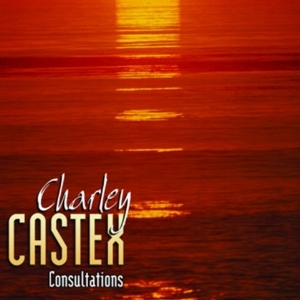 Charley Castex is an International Psychic Consultant and Spiritual Speaker. For over two decades and spanning six continents, Charley has paired his intuitive gift with his passion for spiritual teaching by presenting Guidance Events and inspired psychic readings . His down to earth, visionary guidance goes to the heart of the matter, helping to reveal opportunities in our lives. Charley Castex shares his gift, empowering others to realize their own spiritual and intuitive potentials. For over twenty years, Charley has been hosting Guidance Events in diverse beautiful locations : USA, Italy, Canada, The Virgin Islands, Hawaii and the Bay Islands of the Caribbean archipelago. Charley's global teaching programs focus on Spiritual Empowerment, Intuitive Awakening, and rediscovering Original Bliss. View our Events page to see upcoming events, register or to request an event near you. Guiding souls toward living sensitively in the 21st century through his inspirational group events, Charley also works one-on-one with individuals seeking private mentorship for their spiritual path and intuitive development.